Homemade Baby Food Sweet Potato Recipe! 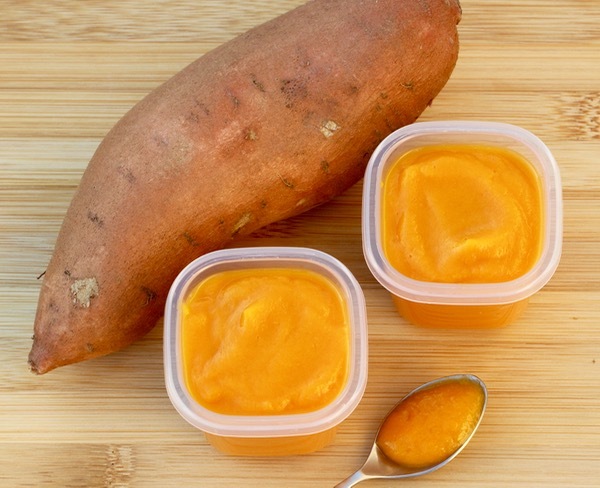 This Homemade Baby Food Sweet Potato Recipe will make baby love mealtime! If baking, Cook Sweet Potatoes in Crockpot, and scoop out softened inside after cooking. Transfer Sweet Potato Puree to OXO Tot Baby Blocks, pop on lids, and store in Refrigerator or Freezer. Pull out one at a time, and allow to come to room temperature prior to feeding to baby. If storing in the refrigerator, use within 2 days. If storing in the freezer, use within 3 months.